Our sixth edition of this series, it’s time to get to the most controversial piece of the entire series: what should the Oakland Raiders do when it comes to the quarterback position? If you’re new to the series, we’re asking a simple question: when it comes to the Oakland Raiders’ first-round picks and the player (or position) in question, should the Raiders PICK said player or PASS? 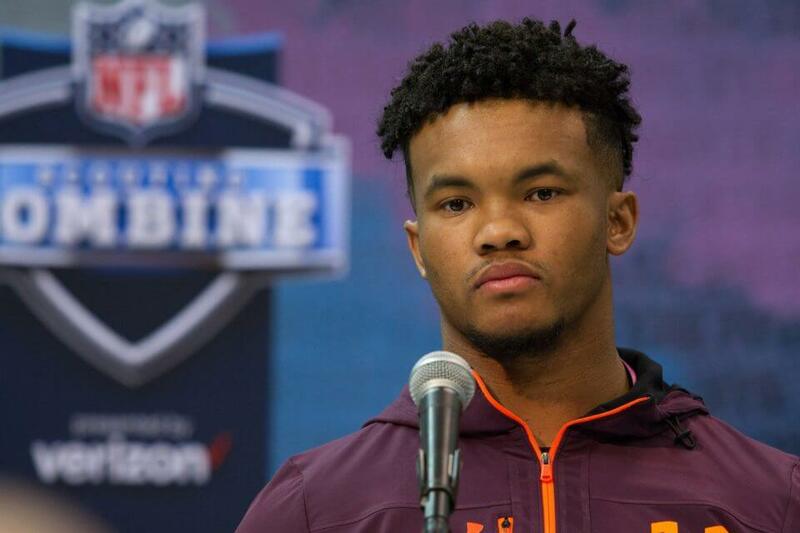 In this case, we’re looking at two guys: Kyler Murray and Dwayne Haskins and asking a simple question: if given the option at pick No. 4, should the Raiders PICK or PASS on the two top signal callers? (If Drew Lock seriously enters the conversation between now and draft night, I might slam my head into a wall — in case you were wondering). In comparing these two guys, one thing becomes clear pretty quickly: they couldn’t be more different. Murray is the new-age “under-sized” quarterback with mobility as a serious strength (but durability a serious concern). Haskins, on the other hand, is prototypically sized and a pocket passer with limited mobility. That’s not to say they don’t have anything in common though. Both had one year as the true starter, both were remarkably accurate as passers and both had impressive TD/INT ratios. Oh, and both won. A lot. Simply put, we’re not looking at someone like Josh Allen (Wyoming Josh Allen) here — a guy with massive amounts of untapped potential. These are both guys who have shown at the college level that they’re high-level passers. One other thing they have in common is that they’re both in line to be over-drafted. As the process has gone on, both guys have moved up boards and mocks — but neither probably deserves to be amongst the top 10 players in this draft. Given the need for quarterbacks, however, you can bet that both will be off the board quickly in Round 1. So what should the Raiders do? To put the same question another way: Is Derek Carr the answer at quarterback? If Jon Gruden and Mike Mayock think the answer to that second question is “no”, then they should absolutely be interested in drafting one of these guys. But if it’s “yes” or even “maybe”, then I’d say they need to stay miles and miles away from either guy. Personally, I think Carr has given Gruden plenty of reason to give him one more year at least as the starter. He posted career highs in almost every category last season, and he’s still just a couple years removed from an MVP caliber season that was cut short by injury (despite having a new offensive coordinator every season). First, that your pick is going to be in the first half of next year’s draft — but not only that, you’ll also have the additional draft capital necessary to move up and get someone like Justin Herbert or Tua Tagovailoa if needed. Of all the pieces in this series, this one was the easiest for me to write — and honestly, it has nothing to do with Murray or Haskins. Both are guys I’d feel good about drafting if my team needed a quarterback — but I don’t think the Raiders do (plus they have bigger needs elsewhere), and so my decision is easy.